* The placement of the MH is rather odd, it's the most important item on the map but it's fairly easy to shield it from other players and/or camp it because it's covered by walls pretty much from every side. * Why no tourney mode? The map is virtually made for it. * Sometimes the corners in the door jambs between the walls and the ceilings are rounded but sometimes they're straight, which visually is a little inconsistent. 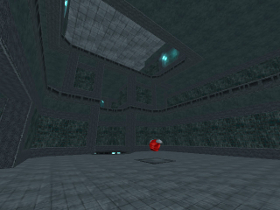 * If you'ld put in some stylish wall ornaments the map would become Id-like, it reminds me of pro-q3tourney7 somehow. 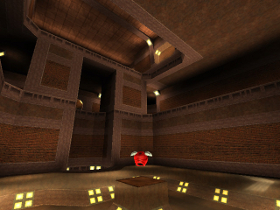 * Again an awesome map, have a cake! 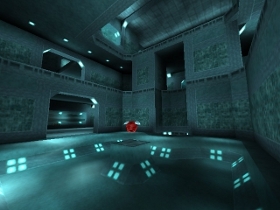 Well, when I started this topic I just wanted a special place for this map, because the "New ctf maps" topic and its 5 pages started to make me sick. 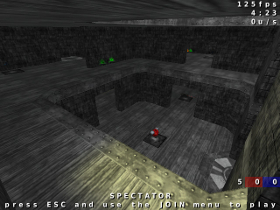 So I started the topic and put all the important elements about the evolution and the shape, then, during the next days or weeks, I wanted to speak about it and especially about a ctf version of it. But I couldn't because work got me and kept me out of Oa for months. BTW, you should consider doing a CTF version of that recreation as well. I've tried it once when I've retexturized q3dm6ish, and it worked very well. 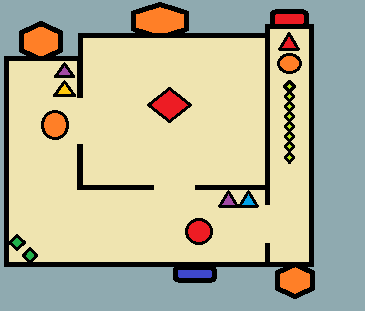 an intermediary area or some common parts between each side are possible. 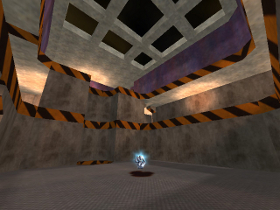 3°) teleporters connect each base. Even if I know that the 2 lasts proposals don't sound so serious, and that the most adapted to the map seems to be the 2nd proposal. I would like help. sorry, could you post screenshots of the places where you would put the new hallways? 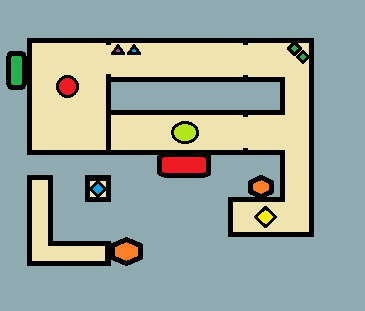 or you could duplicate the base and put a couple halls between them, it doesn't have to be pretty for a gameplay test. Of course, but it takes more time than to just draw something on paint. I'll try to do it before th end of the week, it shouldn't be long. I need to replay your version to get an idea about the connections you propose. i ask because i tried running thru the map and figuring out what you meant but was unsuccessful. 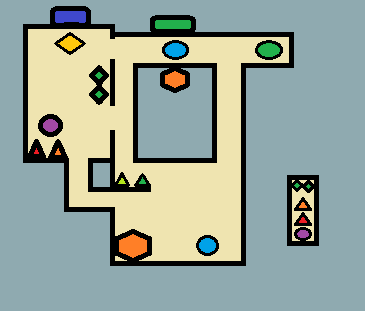 - An overlay of the current map and the new one you propose (use cheat to fly through walls, so that you can take an eagle's view screenshot). This one should be pretty quick and give a very good idea of what your plans. 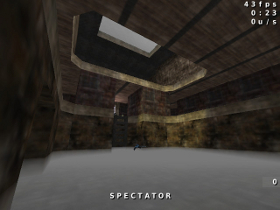 Anyway, I support your idea of making a CTF version of this map, I think it'll be great if done properly. I'm going to put here a pack with the 4 diferent propositions to see really concretely how the gameplay would be.